There’s no shortage of small business advice about marketing, social media and inspiration to not give up, However, the small business owner must pay attention to the financial nuts and bolts of business operations. It’s the best way to make the wisest business decisions. You may encounter terms on business websites or when working with an accountant with which you are unfamiliar. Don’t skip over them. They can be crucial in your thinking as a business owner. 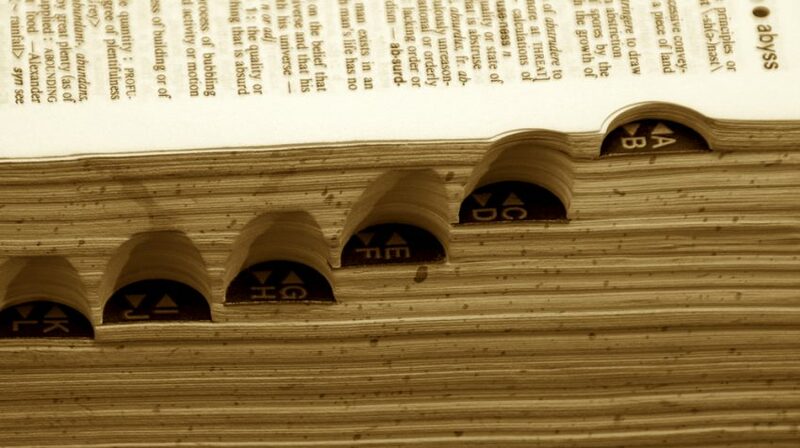 Here is a core glossary of financial terms every small business owner should know. P and L — or “profit and loss” sheet is a report statement on how much profit (or loss) your business has made over a given period. Calculate P and L at the end of every month so you can spot trends early on. Flash Report — in effect, an executive summary of your business fiances, or a daily P and L report. Balance Sheet — this shows the balance between your company’s assets and its liability. A balance sheet is a valuable financial snapshot that can assist in meaningful decision-making, especially if it is regularly tracked. Assets — are all those things your small business owns in order to support operations. Assets include cash, real estate, land, equipment, tools, computers and furniture. Liabilities — are all those debts your small business owes. Examples of liabilities include loans outstanding, bonds, and even the monthly bills your business owes. Equity — is the money you (and any other owners) have invested into your business. In a sole proprietorship, equity is recorded in a capital account. If your company is incorporated, equity is expressed in terms of what percentage of the shares of stock are owned and their total value. Bottom Line — may refer to net earnings or net income, depending on context. This term got its name from the typical location of the net earnings or income figure at the bottom of a company’s income statement. Markup — is how much is added onto a business’s cost price of goods in order to cover overhead expenses and generate a profit. Gross Margin — also known as “total cost of sales,” gross margin is the difference between total sales revenues and total cost of goods sold. It may be expressed on a per-unit basis, in dollars, or as a percentage. Higher gross margin means a company keeps more of each dollar generated by sales. Gross Profit — is your sales figure minus your cost of sales. “Cost of sales” comprises the costs directly attributable to sales, such as materials, labor, and delivery. Net Profit — is your total profit after all costs (e.g., including overhead, materials, wages) have been considered, but before dividends and taxation are calculated. Net profit is how much actual profit is being generated. COGS — stands for “cost of goods sold.” It is the cost of the material and production of the goods a business sells. For manufacturers, COGS comprises materials, labor and overhead. For retailers, it is the cost to purchase inventory sold to customers. CAPEX — stands for “capital expenditures,” which is the expense incurred to acquire any assets (e.g., machinery, office equipment) your business purchases to create future benefits. It is the expense of purchased assets that will be useful to the business beyond the tax year they’re purchased. EBIT — means “earnings before interest and taxes,” and is self-defining. EBITDA — means earnings before interest, taxes, depreciation and amortization. To calculate, take the gross margin and subtract total operating expenses, plus depreciation and amortization. While EBITDA subtracts all expenses, EBIT subtracts everything except depreciation and amortization. GAAP — means “generally accepted accounting principles” and refers to rules and conventions for how financial information should be reported. It is a standardization of financial statements to ensure consistent reporting. Revenue — refers to all the money your business collects from selling goods and services. A business may also amass revenue in other ways, like selling assets or interest and returns on investments. Cost of Sales — is analogous to COGS for companies that sell services rather than goods. For a consulting company, the cost of sales includes compensation to consultants, research and administrative expenses, and costs for producing presentations and reports. Retained Earnings — are company profits that are reinvested rather than paid out to the company owners. ROI — is “return on investment,” represents a measure of profitability in relation to the money you have invested elsewhere. The calculation is (profits – investment) / investment. ROA — “return on assets” is profit gained from a capital investment divided by the CAPEX cost. If you invested $1,000 on a piece of equipment, and it resulted in $1,250 in additional profits, you have an ROA of (1,250 – 1,000) ÷ 1,000 = 0.25, or 25%. ROE — is “return on equity,” which is similar to the ROA and ROI calculations, except that your equity is the denominator. Few things are as satisfying to the entrepreneurial spirit as thinking over small business ideas. For those ideas to come to fruition, attention must also be paid to the many finances to make sure your small business in not just an expensive hobby.